Row Like A Girl - Why Codestone sponsored 4 inspirational young women. Row Like A Girl – Why Codestone sponsored 4 inspirational young women. 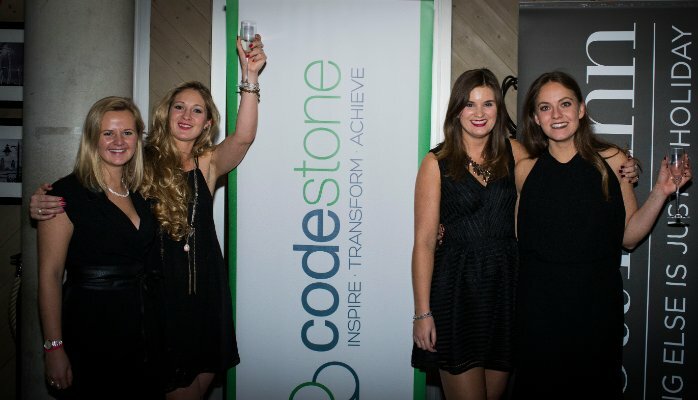 For those of you who have been following our social channels, you will have seen that Codestone is sponsoring four young ladies in their quest to row across the Atlantic. So what is the link? Why would a technology company, Codestone Group, be involved in such a challenge? It all started earlier this year when we went through an extensive re-brand of the company. The re-brand took us on a journey that was about far more than the colour of our logo or a refresh of our general look and feel. We went on a journey to discover “why we did things” rather than just focusing on “what we did”. This process forced us to question our very reasons for getting out of bed in the morning and we discovered that our passion and motivation was simply to help enable people and businesses to achieve their full potential. This aligned perfectly with our core product offerings as we are a technology company, and business technology exists for the sole purpose of making things better or easier. This philosophy also extended to how we see our own people as well as the employees and executives of our customers and also our suppliers. Our strap line “Inspire, Transform, Achieve” was chosen as it can be applied to any one of these collectives. When we first heard about the ‘Row Like A Girl’ challenge, it most certainly captured our imagination and resonated with us. Here is a group of determined young ladies, all in their 20’s, all with careers, families and loved ones, risking everything in the pursuit of physical and mental excellence. These “inspirational” women have “transformed” themselves into elite athletes and we have no doubt they will “achieve” their goal and become the youngest and the fastest all female crew to cross the Atlantic in a rowing boat. Rather than simply run a series of adverts to promote our new brand, we saw this as an amazing opportunity to associate our name with something truly inspirational while lending our support to these remarkable ladies. This is much more than simply placing our logo on their boat; Codestone is equipping the girls with core technology to enable them to keep connected and communicate while rowing the Atlantic. The Row-Like-A-Girl crew are not just embarking on a personal challenge, but also raising money and awareness for an excellent charity – Plan UK’s “Because I’m A Girl”. We have given them all the support and encouragement we can muster and we wish them all the best for their journey ahead starting on the 15th December 2015. We are very proud of them.